Yarn Winding machine offered by us offered by us is backed by latest technology support so as to provide for efficient performance support in defined industrial applications. In involved procedures, these winding machines find application in processes of yarn winding onto spools, bobbins as well as reels. Finding application in heavy textile manufacturing units, these winders are used for in preparation to weaving where yarn is wound on bobbin which is further used in shuttle. The packages prepared for warping are normally cross-wound, containing several kilograms of yarns. 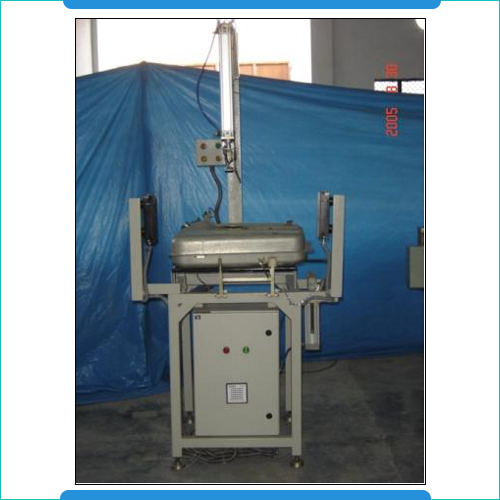 These machines can handle or cotton, polypropylene, viscose yarns that are used in wound cartridges. Further, we also ensure that the system is designed and built so as to provide for ease of operations as well as requirement of minimal maintenance. 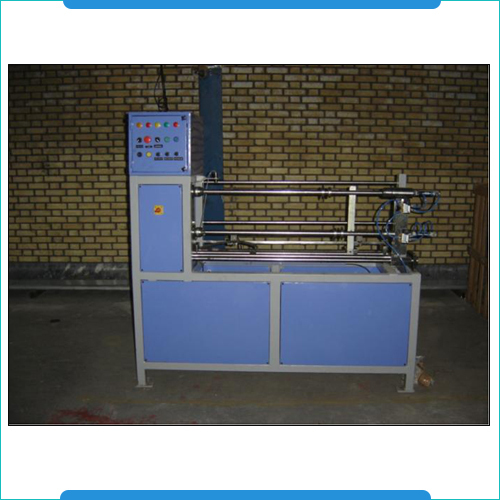 Some of the features of these machines include control device for filter diameter, aluminum extruded section base frame, variable machine speed as well as provision of safety guards also make these highly preferred by the customers. Minimum dia. of rolling: 65mm. Centrifugal Casting Machine offered are backed by latest technology support and find application in matching up with the demands of processes involving centrifugal casting/rotocasting which is a casting technique generally used for casting thin-walled cylinders. The machines are also recognized for providing high quality end results particularly in maintaining precise control over their metallurgy as well as crystal structure. As a process, centrifugal casting is used for production of materials in standard sizes for supporting the demands of further machining where the permanent mold is rotated continuously about its axis at superior speeds as pouring of molten metal is done. This is followed by molten metal being centrifugally thrown towards inside mold walls where the metal gets solidified after cooling. Some standard features of the machines include capability to handle castings in almost any length, thickness as well as diameter options, elimination of core requirements as well as superior mechanical properties. Vulcanizing Press Machine offered by us are well recognized in the industry for their precision functioning standards as well as providing optimum functional support in given end applications. Here, our expertise lies in making these available with user friendly operating interface which makes these systems highly preferred by the customers. 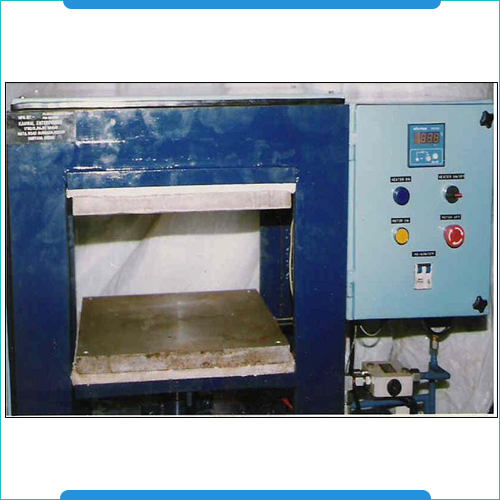 Made available in a wide range, we fabricate these machines using high grade stainless steel metal though utilizing cutting-edge process methodologies that make these ideally suited for eliminating unevenly vulcanized molds. Further, the machines also come with on/off power pilot light, provision of automatic temperature controller as well as heavy guide post that allows for proper platen alignment. Further, the presence of digital readout also provides for accurate temperature control. 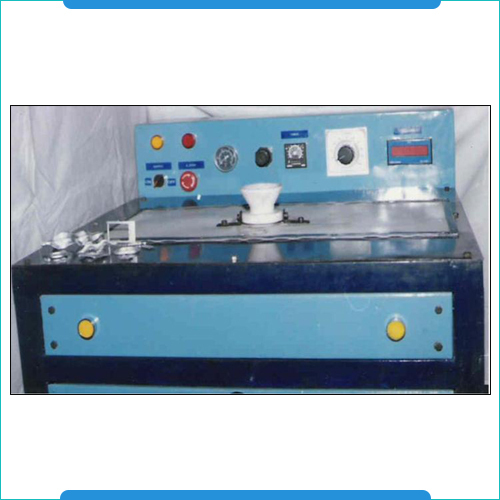 Baffle Sensor & Marking Machine offered by us find application in meeting the assembly demands of tank tube as well as baffle units that find usage in cars. The machine supports the demands of flaring Tank & Tube together, producing baffle in centre through use of hydro pneumatic cylinder operated at high pressures. Here, the presence of advanced PLC control system also ensures that the machines offer optimum functional control in processes performed using these machines. The presence of machine-frame in C-type plate welding also provides for superior rigidity support. These also comprise clamping system that can adapt to different work pieces. Some benefits of the machine include modular assembly, allowing punching, marking and drilling operations on one plate and others.